Of course, there will always be more than just five reasons as to why you should marry your partner. However, we thought that these five in particular were some pretty important reasons as to why you should maybe consider marrying them. When it comes to love, romance, adventure, and everything in between, you are going to want to make sure that the both of you are still doing these things even after you say "I do." Even though that your partner could've been with a million other people in the world, they still chose you over everything else and these reasons are here to prove why they love you so much! One of the most important reasons why you should consider marrying your partner is that they always make time for your relationship. No matter how busy they get, no matter who they are with, or what they are doing, they somehow always manage to make time to see you and be with you. This kind of love is extraordinary in itself simply because your partner is always thinking of you despite the chaos of everyday life, you're the image that keeps them moving forward. Even if you'er doing long distance, they find a stopping point just to call, Skype, or send you a text message saying how much they love you and can't wait to see you again. If your partner has demonstrated how amazing with children they are then you have found someone who knows how to not take things so seriously all of the time. Yes, there is always a time and place for serious-mode, however, they also need to be able to lighten up a bit especially when it comes to being around kids. Not everyone has the capabilities of being around kids for too long but if they are able to show you that they are basically one of the children then you might as well marry them. Just by being able to show kids that you're more than just a boring grown up by being silly and fun can mean a lot to your partner when it comes to being vulnerable. Maturity is also a very important reason to feel like you belong together with someone forever. If the person you are with has a hard time accepting responsibility, commitments, or anything that involves them making important decisions then you may want to reconsider your relationship with them. You may think that this is just a minor detail to a person but it means the world to your partner when you are able to take control and make a decision on how to fix a certain problem. Maturity is necessary in all aspects of a relationship needless to say, however, some people just don't get it when it's their time to shine in the adult category. If the person you are with just radiates a certain kind of glow all of the time to you, then you may want to marry this person. There's a certain kind of love you begin to understand for your partner the more time that you've spent with them, getting to know them on their bad days, and seeing them at their worst. Even though you have witnessed what it is like to see them fall you still think they are still ridiculously flawless in every way. The same could be said for the way they feel about you. This kind of bond between two people is something extremely special when you are able to still be in utter love with them even though they feel like you couldn't possibly want to be with them after seeing them weak. If your partner is constantly on you about your health, especially whenever you're feeling sick, they will make it a point to go and get you everything that you need in order to feel better. This is kind of in relation to them seeing you as endlessly flawless and love the chance when they are able to pamper you back to health. This kind of love is more than necessary because not only are they taking time out of their own day in making sure that you have what you need but they are also taking time from their day just to give you endless love because they know you need it now more than ever. Ranging from going to the nearest pharmacy to buying every kind of soup you like when you're sick is a pretty big deal when it comes to relationships. Again, there are a variety of other personal reasons as to why you should marry your partner. 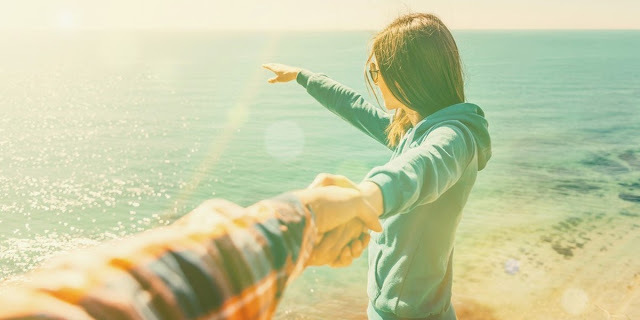 However, these five important reasons should resonate within all of us when it comes to considering spending the rest of your life with this other amazing individual. This post was republished from www.higherperspectives.com. You can find the original post here.